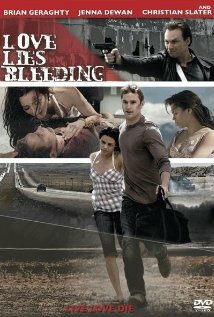 Buy or Rent Love Lies Bleeding (2008) Movie DVD & BluRay Online! Movie Plot: Christian Slater stars in this thriller about a corrupt government agent’s attempt to get back stolen money from a young couple. After they witnessed a shootout in their apartment complex, the pair runs away with their newfound riches. Unfortunately for them, Slater’s DEA agent is not willing to let his fortune go and embarks on an action-packed chase.